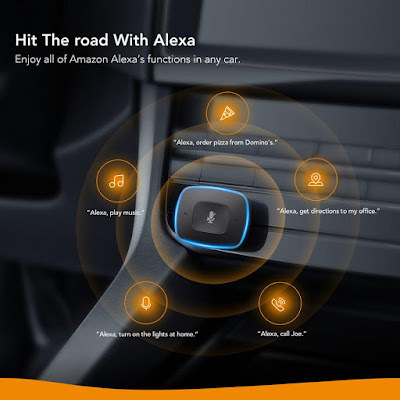 Most of us spend a considerable part of our time in our cars traveling and these essential car gadgets are here to make things a bit more comfortable for you. Automatic PRO AUT-350 Connected Car OBD II Adapter: The Automatic PRO AUT-350 Connected Car OBD II Adapter is just the thing you are looking for when connecting your car to the rest of your digital life, Echo, IFTTT connected and more. It uses 3G connectivity, provides real time vehicle location tracking, decodes engine check light and lot more. It works within the United States and comes with unlimited 3G subscription for 5 years. 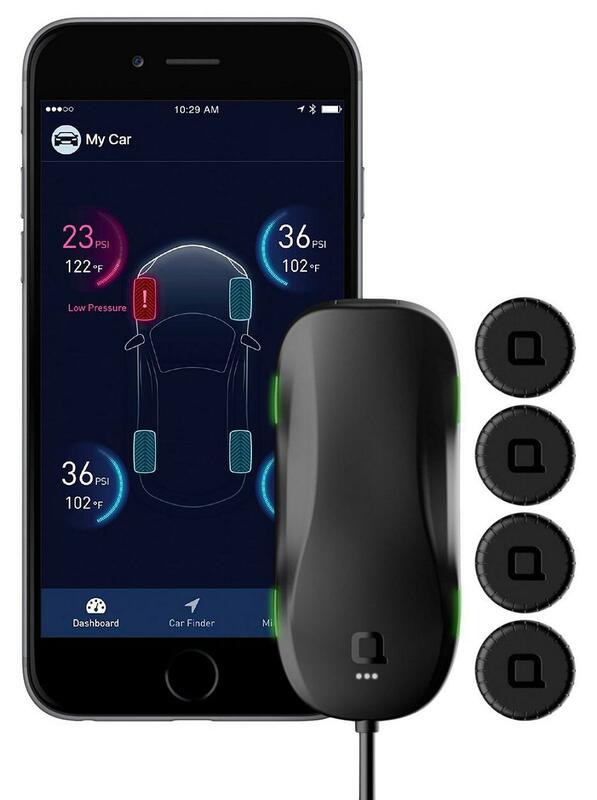 Just plug into the car's OBD-II port, install its app on your smartphone (Android or iOS app) and you are good to go. Buy Now. Nonda Smart Tire Safety Monitor: The Nonda Smart Tire Safety Monitor lets you monitor your car tire pressure and temperature in real-time, detects slow leaks and even saves you on fuel. Its easy to install, is powered by an intelligent algorithm, and works along with its app to keep you updated. Buy Now. Road Shower: The Road Shower 4 gives you 4 to 10 gallons of pressurized heated water on your motorized travels wherever you go without you going through the usual setup of propane, pumps, or long set up times. 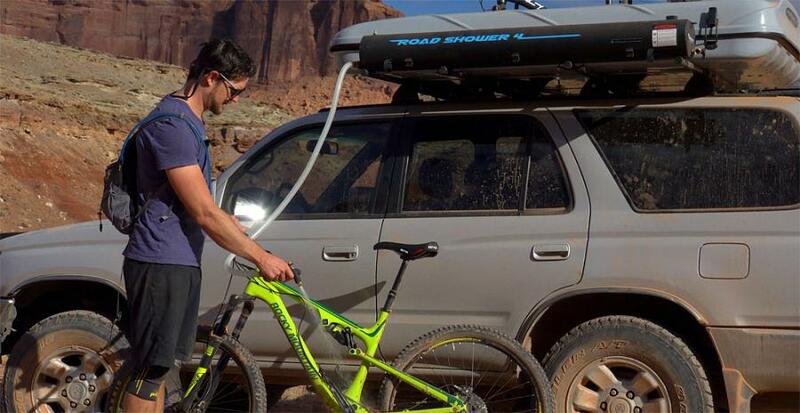 This Solar Shower has multiple uses: shower, camp hose for dishes, a pressurized jet to rinse off dirty gear, a gentle spray for the dog and more. Buy Now. 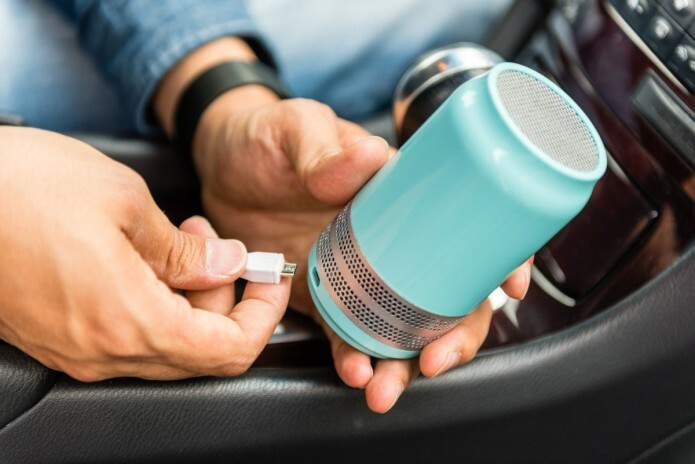 Roav Viva: The Roav Viva is an Alexa enabled 2-port USB car recharger for in-vehicle navigation, gives you handsfree calling and music streaming (Spotify available in early 2018). 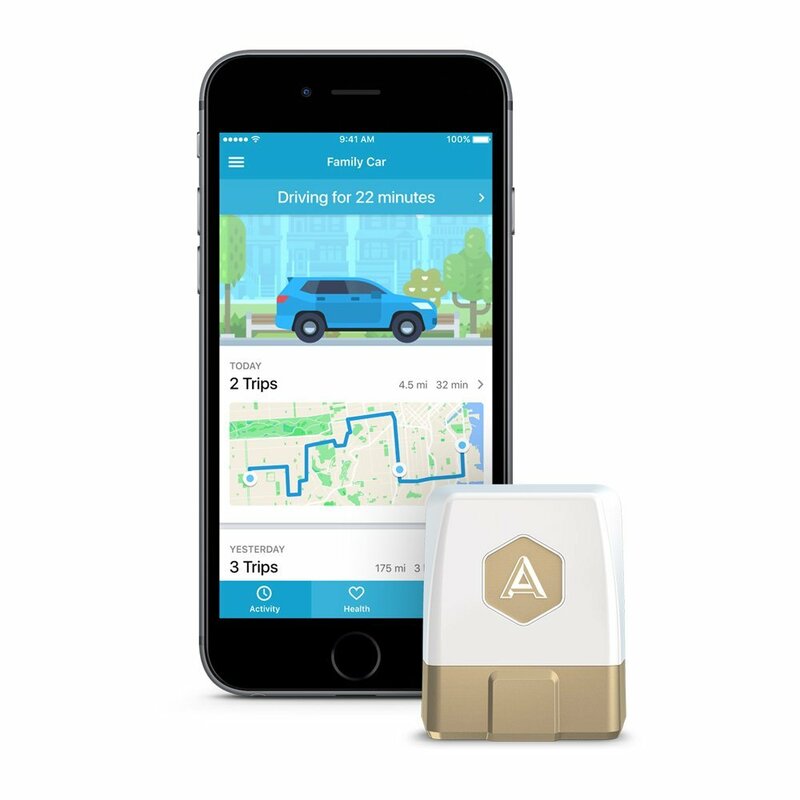 Using its voice control you remotely activate and control any smart devices on your network, and also voice control your home. Buy Now. Thule XT Rooftop Cargo Carrier: The Thule XT Rooftop Cargo Carrier features optimized design for the best space efficiency, aerodynamics, and vehiclefit. It comes with One Key System compatible Slidelock system, with separate locking and opening functions, automatically locks the cover in place and indicates when the box is closed securely. Its available in 3 color options, and 4 size options. Buy Now. 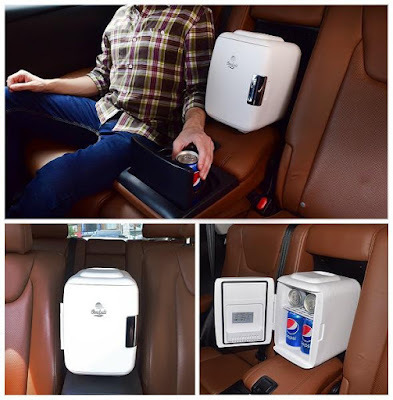 Cooluli Mini Fridge Electric Cooler and Warmer: The Cooluli Mini Fridge Electric Cooler and Warmer can hold up to six 12 oz. cans, works on AC/DC and on the go USB power bank, and you can easily switch from beverage cooler to food warmer. Buy Now. Car Electric Kettle: The Car Electric Kettle heats up your water using car 12V port to 100°C in 45 minutes. 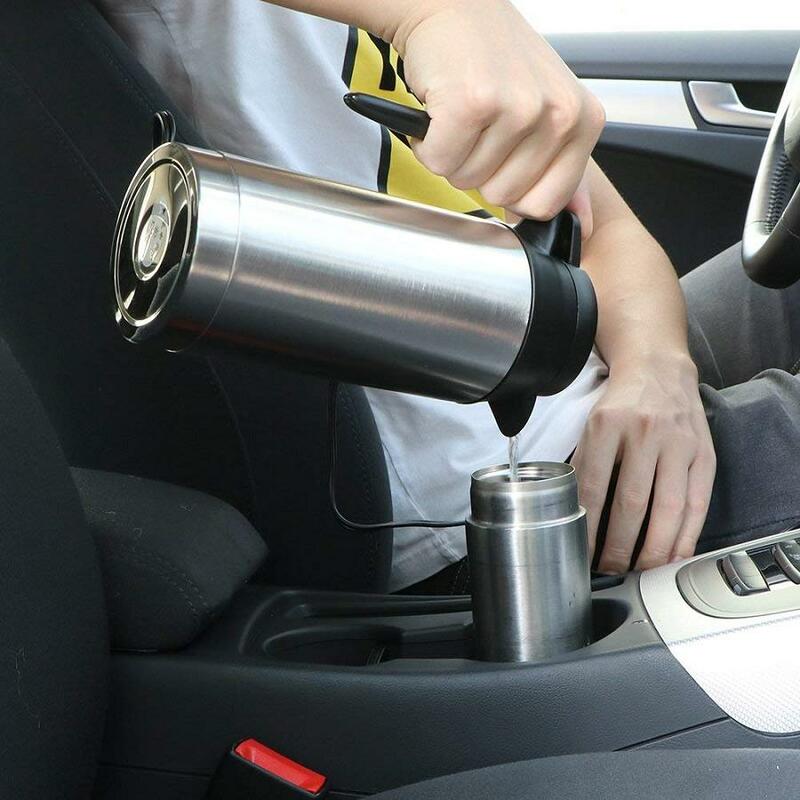 It warms your coffee, tea or soup, while traveling, it comes with 750ml large capacity and with electronic thermostat function. Buy Now. 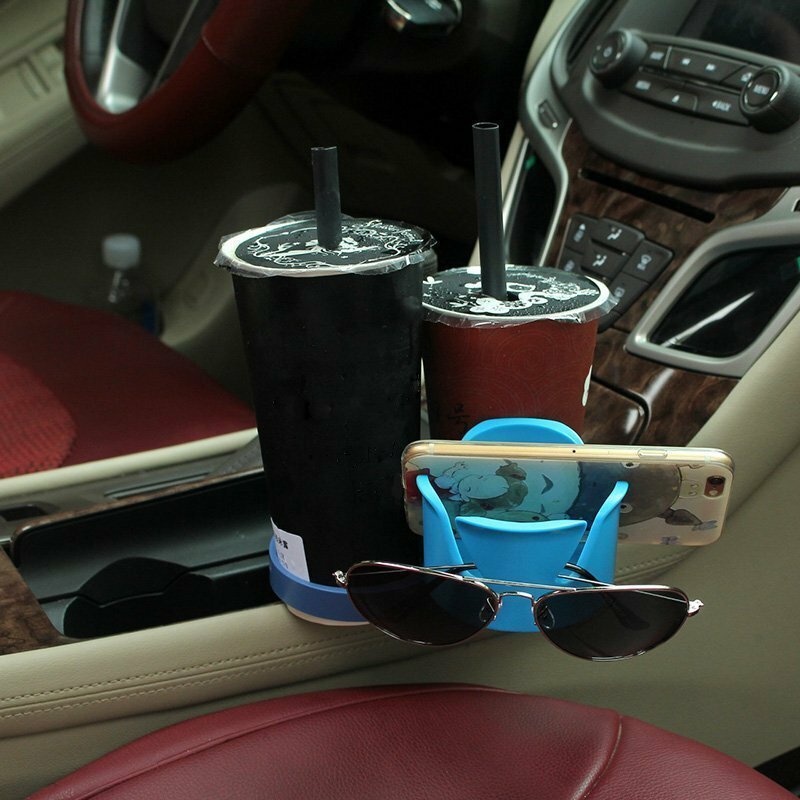 Utility Vehicle Cup Holder: The Utility Vehicle Cup Holder holds cup, smartphone, keys, sunglasses, pens and more. Buy Now. 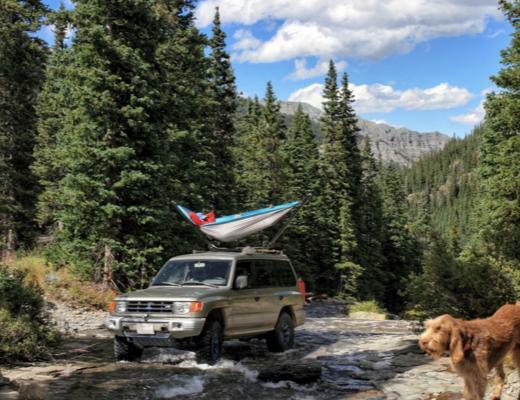 Trailnest Roof Top Hammock Stand: The Trailnest Roof Top Hammock Stand can be game changer when it comes to vehicular camping. So next time you pull off the trail then you don't need to search for perfectly level ground as you got this stand that can be setup in minutes and its as simple as connecting a hammock. It gets you out of confines of a tent while keeping you safe from local wildlife; after all you dodn't go outdoors to sleep inside a tent or a car, do you? Each stand holds up to 250lb of hammock weight. Buy Now. 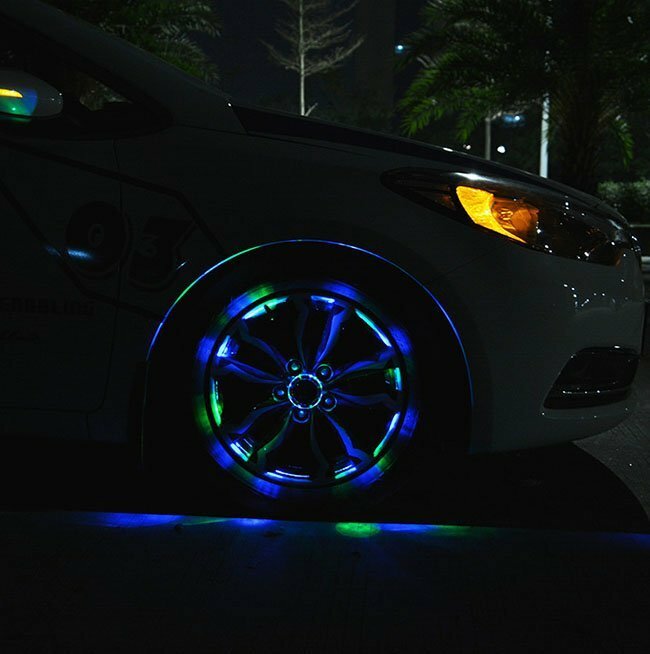 Colorful Light Car Tyre: The Colorful Light Car Tyre is solar powered, waterproof and keeps your tyres visible at night. It shuts down automatically 30 seconds after parking. Buy Now. Luft Qi: Luft Qi is a small, filterless air purifier that uses nanotechnology and improves air quality around you, anytime, anywhere. Buy Now. Car Door Opened Signal Warning: The Car Light Door Opened Signal Warning alerts the vehicles coming from the rear to pay attention and to maintain a safe distance. 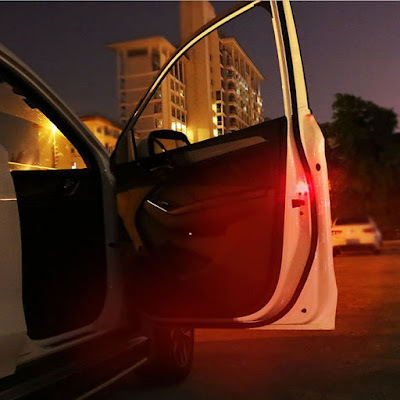 Its turns on once you open the door and then turns into a light alerting others of the door been opened. Buy Now.